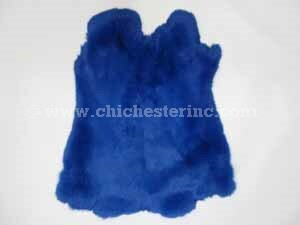 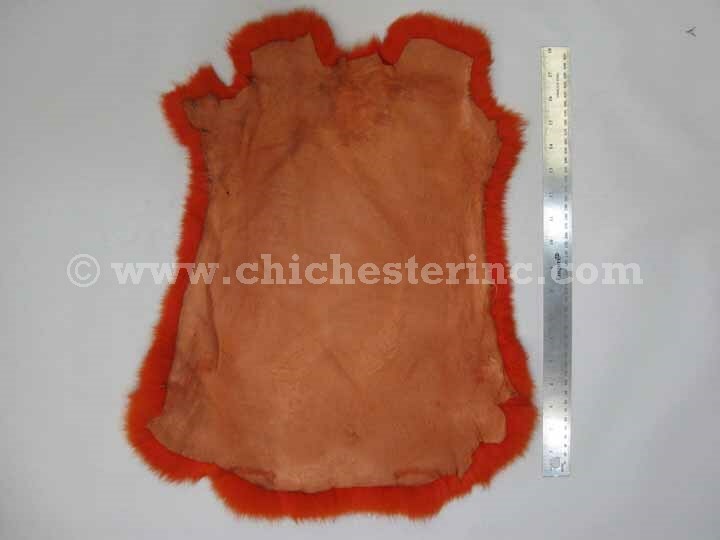 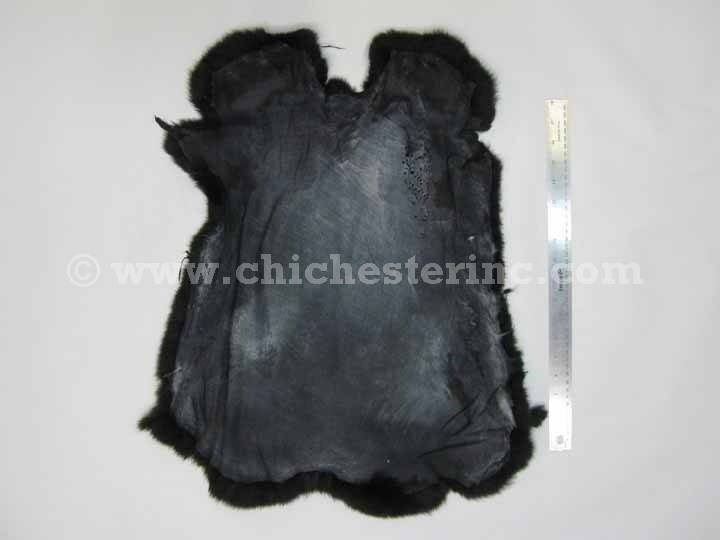 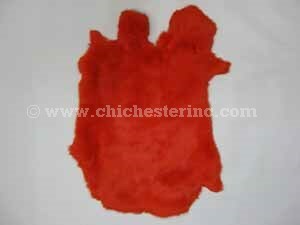 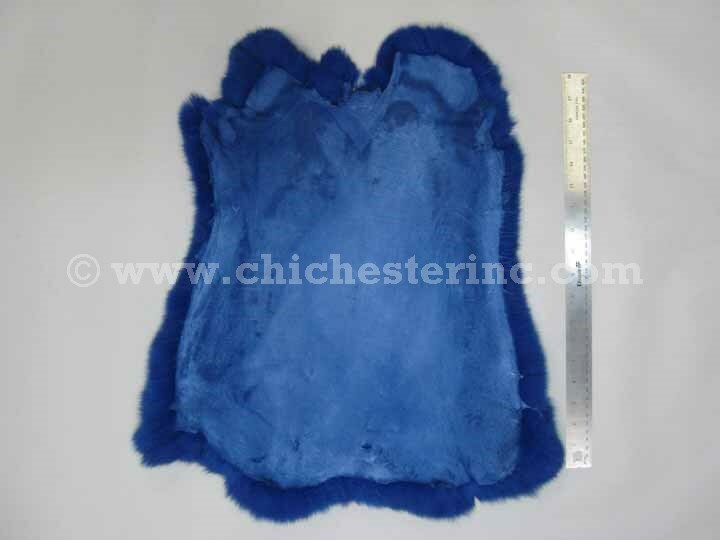 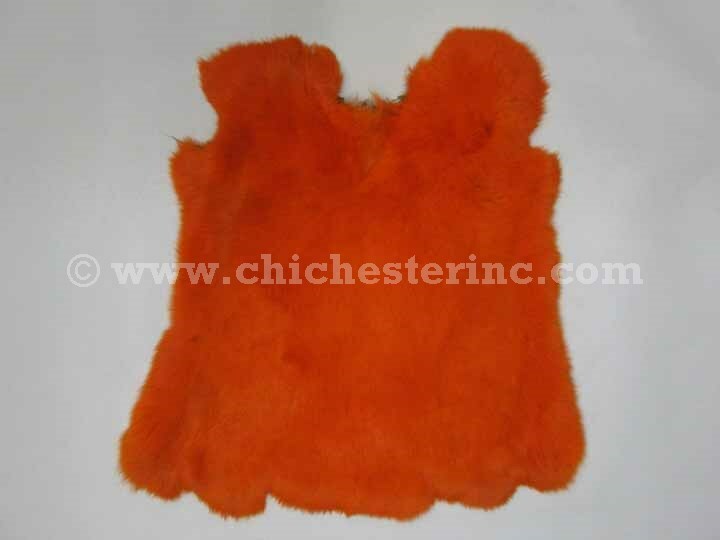 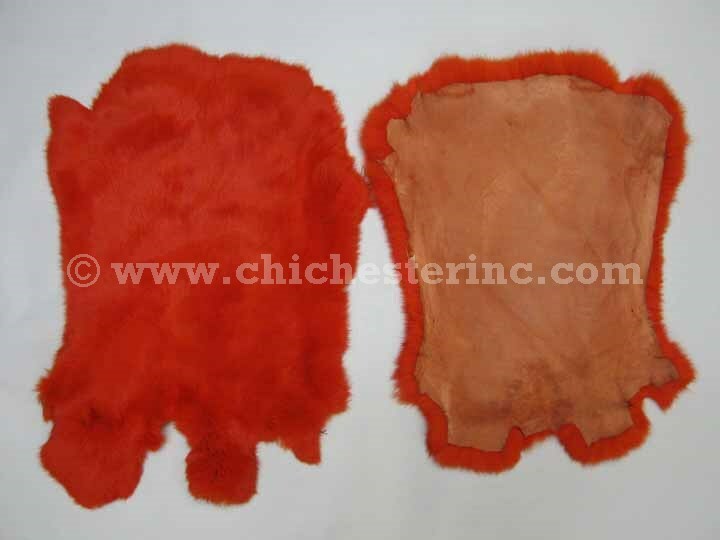 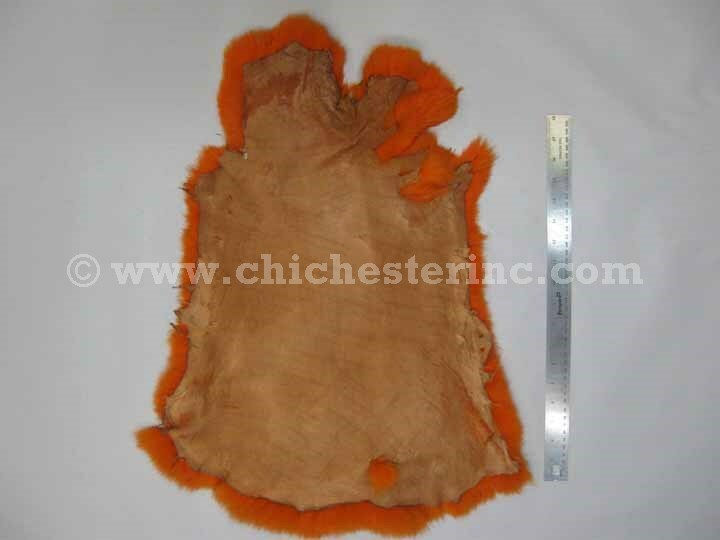 These are dyed jumbo Czech female grade rabbit skins. 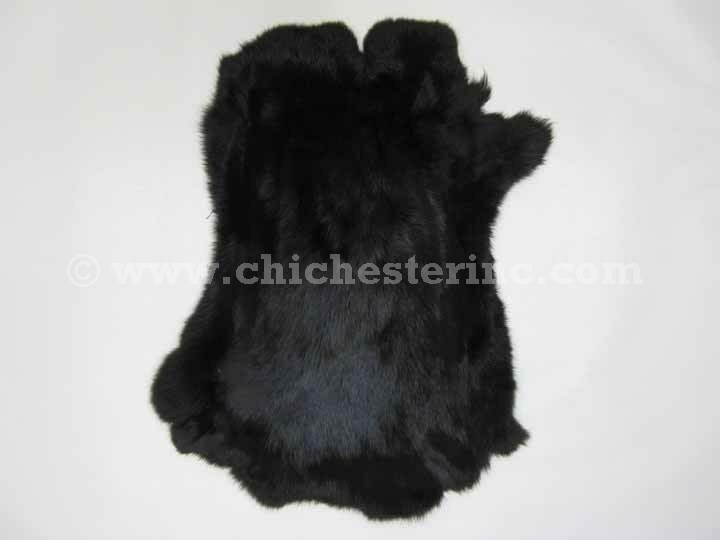 They are 50% to 200% bigger than the regular rabbits from Spain. They are the nicest rabbits we have ever seen. 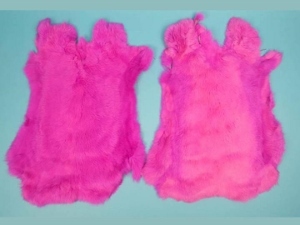 They are soft-tanned, big, and very heavily furred. The hair is 1" to 1.25" long. 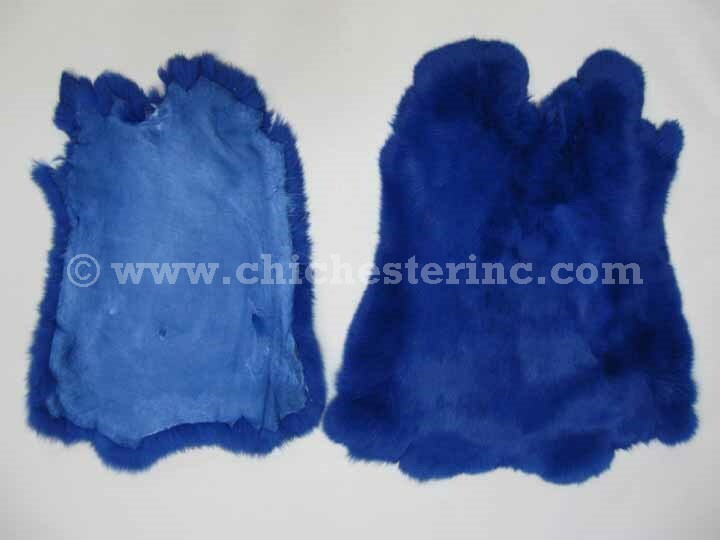 They are ideal for resale or for craft projects requiring excellent material. 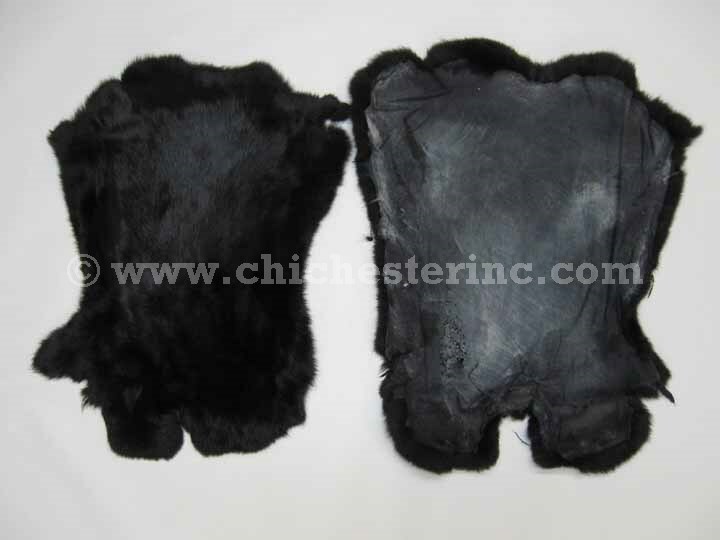 They are suitable for trim on parkas, mukluks, and gauntlets. 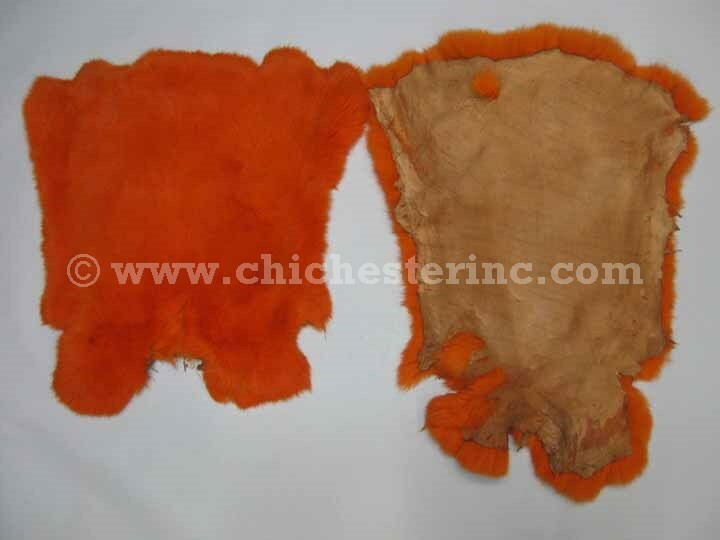 These rabbit skins are chrome tanned. See the front and back side by side. 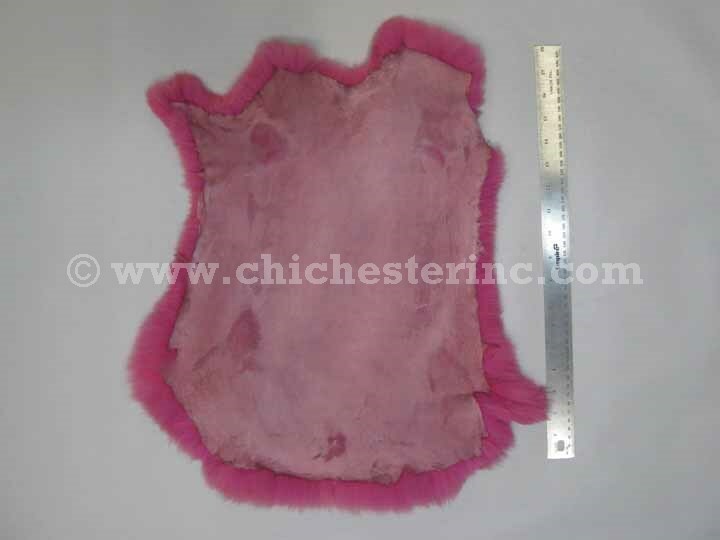 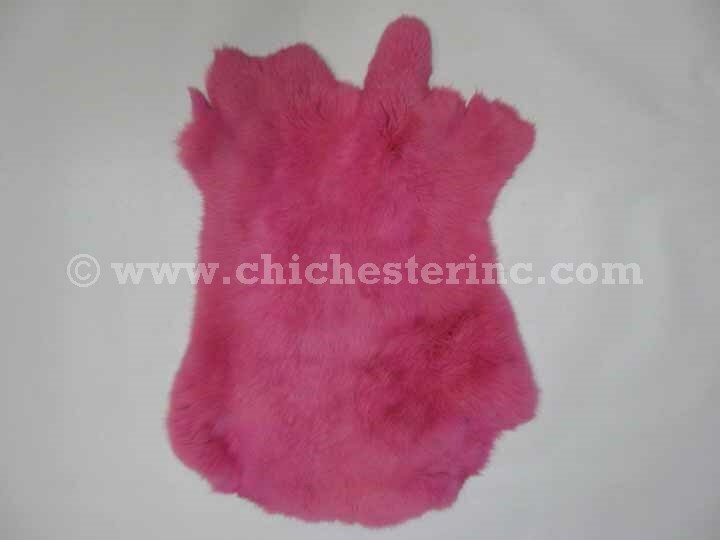 We have some jumbo pink dyed rabbit skins that are not evenly dyed. 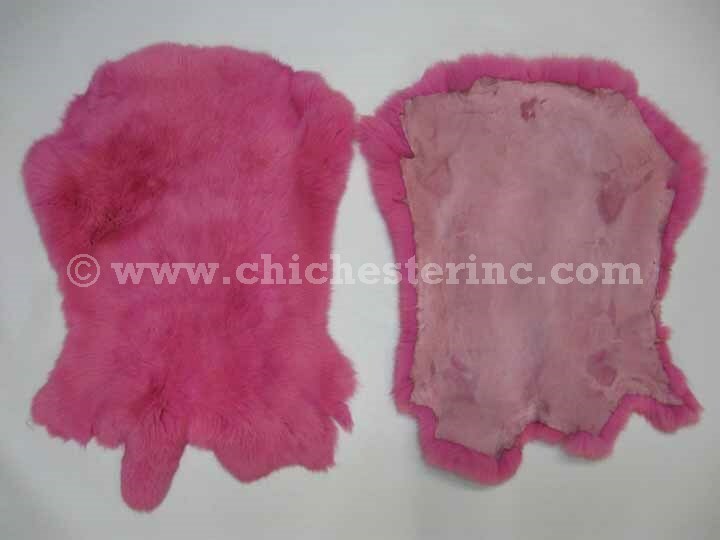 The one on the right is not evenly dyed compared to a regular pink one on the left.